Construction sites across the globe are developing rapidly as firms seek to take advantage of the technologies of tomorrow. However, the construction industry is the lowest ranked economic sector in terms of digital uptake in Europe, and more needs to be done, according to a leading EU industry organisation. 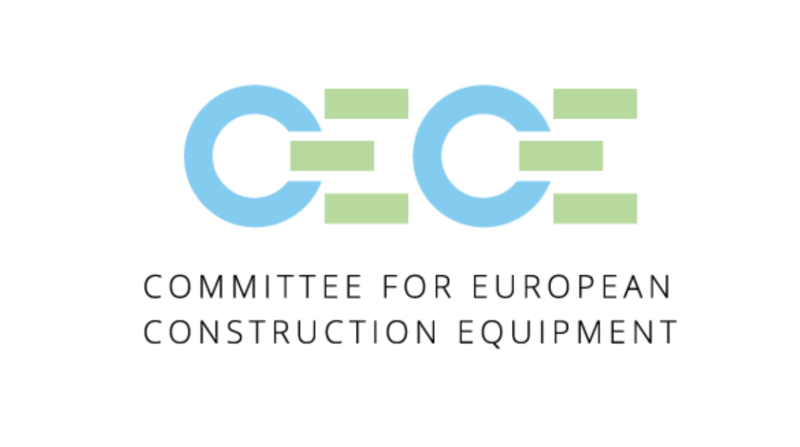 The Committee for European Construction Equipment (CECE) is due to publish a call to action next week, ahead of May’s European elections. EURACTIV understands that CECE will outline a number of key areas for the next legislature to take into account. One of which is to support the digitisation of Europe’s construction industry. 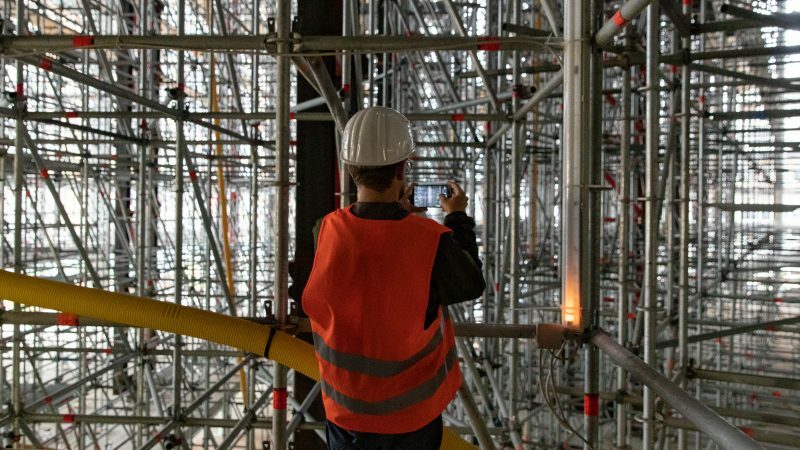 “It’s not about starting a digital construction race…but without a strong political focus on digital construction and a tangible push towards the digital transformation, the EU economy will not remain competitive in an increasingly globalised market.”, CECE’s Secretary General, Riccardo Viaggi, told EURACTIV. Digital Europe, the EU’s long-term budget covering the period 2021 to 2027, is putting aside €9.2 billion for technological projects. Areas that the mechanism is due to cover include supercomputing, Artificial Intelligence, cybersecurity, digital skills, and supporting firms to better digitalise their operational processes. However, Viaggi says that the construction sector should be a priority within the Digital Europe programme. “The EU needs to prioritise the economic sector that builds the places in which we live and work and employs close to 20 million Europeans,” he said. Indeed, with regards to the digitisation of the construction sector, the EU lags behind. Nevertheless, one area in which the bloc could make moves is in the field of data modelling. On Monday (28 January), the International Organisation for the Standardisation (ISO) released the world’s first international standards for building information modelling (BIM). BIM is a digital tool that allows designers and architects to create digital 3D models, applying data associated with physical and functional characteristics of a building. The technology allows architects, engineers and contractors to collaborate on a project together – coordinating various building specifications to measure. Data inputted into the BIM software can then offer pinpoint insights into building performance forecasts, such as the energy consumption of a building, the necessity for different levels of lighting on different floors, and the structural integrity of a building based on geometric indicators. Moreover, the data produced offers a detailed plan to construction site workers as to the desired outcomes of a building, allowing for construction to be automated to a standard and for issues regarding coordination to be reduced to a minimum. The data generated at the design stage can also be used to assist with future renovation or demolition projects. From an EU perspective, efforts are ongoing in the bid to substantiate the bloc’s global reputation in the field of building information modelling. A technical committee as part of the European Committee for Standardisation (CEN) was established in 2015 with the objective of formatting a set of standards, specifications and reports in the field of BIM. Moreover, the EU BIM Task Group was founded in January 2016. Receiving financial support from the European Commission, the organisation has now grown to 23 countries across Europe. The aim of the task group is to encourage the widespread application of BIM across public works in order to improve cost efficiencies, better the quality of building architecture, and bolster the global competitiveness of the EU digital construction industry. However, EU BIM is under no illusions as to the difficulty of the task at hand. “The construction industry is currently one of the least digitised in Europe,” they say. Recently, Dr Souheil Soubra was elected chair of the EU BIM Task Group. He is also directly involved in the French Digital Transition Plan that is aiming to roll out large-scale deployments of BIM in the French construction sector. “Building Information Modelling is currently regarded as the key method for the digitisation of the lifecycle of built assets, and we are now working to transform this awareness into a reality for the European construction sector,” he said in a statement last week. Soubra also revealed the concrete plans that lay ahead, if the EU’s digital construction sector is to ever take off. “We are going to promote the creation of a common digital platform for construction, which would enable the automation of building lifecycle processes in the public and private sector,” he said. The sheer quantity of data now used in the construction of a building, Poljanšek observes, can offer those in the industry insights that have never before been realised. As CECE’s Viaggi told EURACTIV, the “path is still very long” on the road to a confident and resilient digitised construction industry in the EU. However, just as Poljanšek says, the ones who will reap the benefits of future opportunities in the field will be those who employ the most innovative methods at the earliest stages. With the European Commission’s term coming to an end later this year, any future executive branch would do well to be cognizant of the opportunities on the horizon. Wrong word, AUTOMATION that is the word you are looking for – the building sector needs more automation, far better handling equipment, and automation of repetitive tasks – this is addressed, partially, later in the article. Not mentioned, is the ageing of the building industry workforce in the EU. After all, why would any young person want to join an industry that uses techniques the Romans would recognise? BTW: my discussions with people active in the sector (i.e. doing stuff, brick laying, jointing etc etc) confirm this view. Young people are not intersted. That said – west Europe has compensated with labour imports from Slavic lands – erm… just like the Romans did – hmm what did the Romans call such “workers” then… anybody guess? Or am I being a bit politically incorrect? Moving back to the article – BIM seems a bit like putting the cart before the horse – what is needed is far higher levels of automation in the budiling industry (very very difficult) , what is happening is increased levels of data handling at the design phase, easy. Yeah, I can see why the latter was chosen over the former.